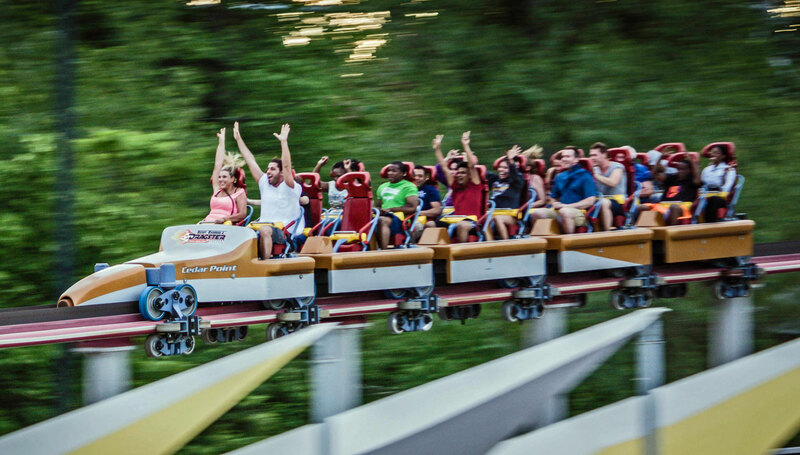 Top Thrill Dragster at Cedar Point closed this weekend after suffering a mechanical failure. The breakdown was due to a collision of the train catch car, the part that connects the train to the cable, colliding with brake fins at speeds that caused tearing and melting of the hardware. There were no reports of injuries during the incident. The length of down time has yet to be determined, but it will likely be weeks, if not months, before the coaster is up and running again. A similar catastrophic failure happened to the nearly identical Kingda Ka coaster at Six Flags Great Adventure in 2005, that caused damage to the cable, motor, and brake fins, which took months to remedy. Top Thrill Dragster is the record setting Strata Coaster built by Intamin that opened in 2003 as the World Record holder in both height at 420 feet (130m) and top speed of 120 mph (190 km/h). Both records have since been eclipsed by Kingda Ka’s 456 feet (139 m) and Formula Rossa at Ferrari World in Abu Dhabi, United Arab Emirates with its top speed of 150 mph (241.4 km/h). You can read more and view photos of the damage in our Forum Discussion. Information about Intamin Amusement Rides can be found on our Manufacturers page. More information about Strata Coasters can be found on our Coaster Type page. This entry was posted in News and tagged cedar point, Intamin, strata coaster, top thrill dragster. Bookmark the permalink.